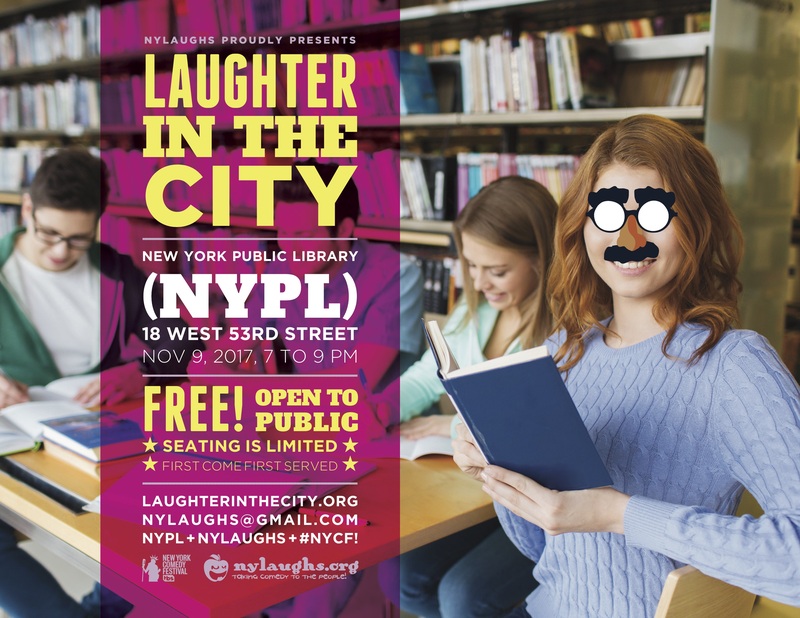 NYPL + NYLAUGHS + NYCF! 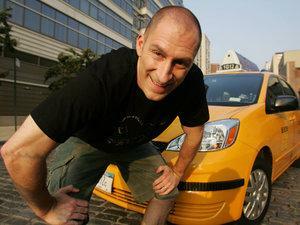 NYLaughs Proudly Presents "Laughter in the City" @ NYPL Featuring Ben Bailey! Seating is limited. First come-first served. 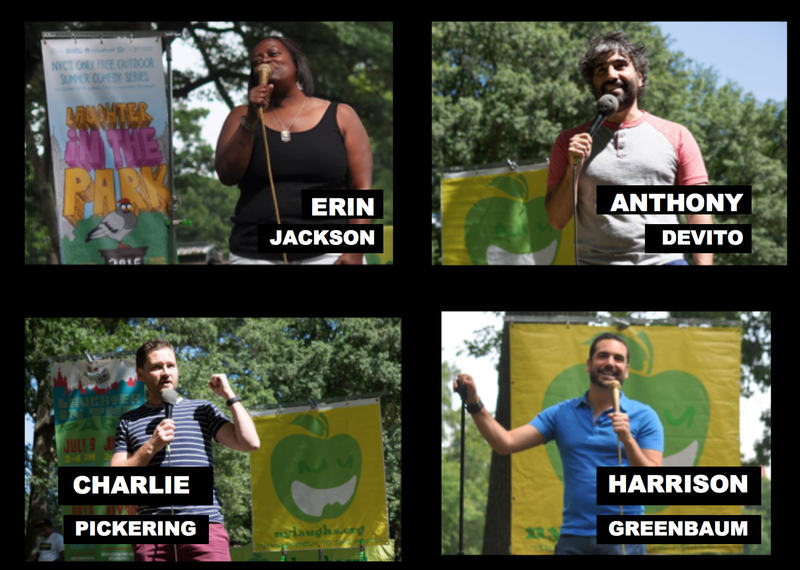 We here at comedy non-profit NYLaughs LOVE free stuff... FREE refills, FREE samples, FREEdom of speech... and you'll ALWAYS find us at the library checking out FREE books! 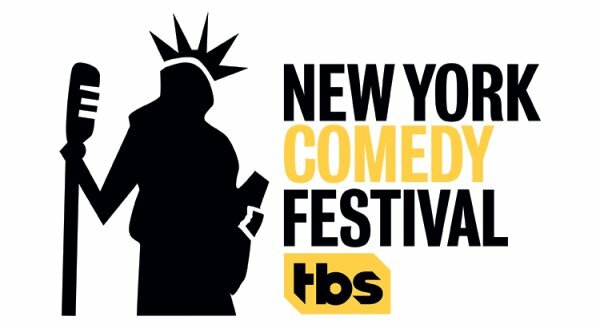 If we're reading YOU correctly, you love free stuff too, so you've GOT to join us during the New York Comedy Festival at the iconic New York Public Library at 18 West 53rd St for a night of FREE laughs for “Laughter in the City” with our three-time Emmy winning headliner, “Cash Cab’s” Ben Bailey, along with Anthony DeVito, Charlie Pickering, Erin Jackson, and Harrison Greenbaum! In trying times, “Fake News” will make you realize the true cost of the “FREE” in our freedom, but spreading “Fun News,” goodwill and sharing uproarious laughter should come at no charge! The only "Fake News" here is that you have anything to lose - The News is fun, the comedy is free, so come check us out like a worn copy of "50 Shades of Grey!" Stay to research all the jokes you didn’t understand! There won't be a single librarian in the house that will shush you for laughing out loud! This incredible show is completely FREE and not to be missed! Seating is limited and begins at 7pm. First come, first served. Anthony is an NYC-based comedian. He recently made his network-television debut on "The Late Show with Stephen Colbert" and was the 2015 winner of Caroline's "March Madness." He can be seen on TV Land's "The Jim Gaffigan Show" and in regular appearances on Fox News Channel's "Red Eye." Harrison was one of Comedy Central's "Comics to Watch/" He has won several awards for his comedy, including the Andy Kaufman Award (2010) for creativity and originality in comedy. He was featured recently on NBC's "America's Got Talent," as well as "Last Comic Standing," AXS.TV's "Gotham Comedy Live" and National Geographic Channel's "Brain Games," Punchline Magazine named Harrison one of the "Breakout Artists" of the year. Erin was a semifinalist on NBC's Last Comic Standing, and co-hosted three seasons of Exhale, a candid talk series on "Magic" Johnson's ASPiRE network. Erin can be seen nightly in many of New York City's top comedy clubs, and has performed stand-up on The Ellen DeGeneres Show, OWN's Wanda Sykes Presents Herlarious, Comedy Central's Live at Gotham, AXS.TV's Gotham Comedy Live and TV Guide Network's Standup in Stilettos. Charlie is an Australian TV host and comedian. He is best known as a former co-host on the comedic current affairs program "The Project." He currently hosts "The Weekly," a popular weekly news satire program.